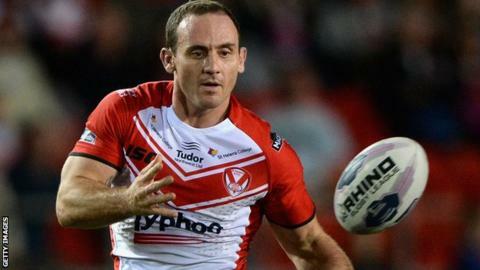 St Helens have rejected Lance Hohaia's claims they failed to support him following his assault by Ben Flower. The half-back was knocked to the ground and punched by the Wigan player in the 2014 Super League Grand Final. He played the next year but retired in April 2015, citing "recurrent post-match concussion-type symptoms". New Zealander Hohaia, 32, says St Helens refused his request for time off and he was urged to take medication to help him continue his career. "I had tests but, with concussion and brain injuries, there is not an exact science," Hohaia told the New Zealand Herald. "The tests were inconclusive but I needed some time. "Unfortunately Saints chose not to support me through that time and that hurt me a lot. "I was offered prescription medicines to help with the headaches. I wasn't comfortable with that, as it was masking a bigger problem. "I needed a period of time to heal but I wasn't given that choice. The option was, take the medication and play... or walk away." St Helens strenuously deny Hohaia's claims and threatened legal action against the former Kiwi international. "Hohaia's version of events at St Helens between the Grand Final in 2014 and his voluntary resignation without notice six months later is utterly inaccurate and malicious," a club statement read. "Throughout that time he received the highest level of professional support and empathy, both rugby and medical. His subsequent version of ongoing 'concussive symptoms' were entirely retrospective and only raised by him at the end of that period. "At no time was he put under any pressure or duress by the club to play and he was provided with highest level of professional advice and support by the club. St Helens set the very highest standards in that regard. "His decision to retire was entirely his and his resignation was without due notice to the club. It was he, and not the club, that later put the matter in the hands of solicitors. "His assertions were totally without merit or foundation and he then decided not to take the matter further. His retrospective version of events bore little, if any, relation to our detailed professional records. "We are totally outraged that now, some nine months after his voluntary resignation, he regurgitates his grossly inaccurate and misrepresentative assertions against St Helens in a New Zealand newspaper whilst he is resident in the United States. "It is particularly despicable that he has publicly so wrongly and maliciously impugned St Helens and its highly professional and caring staff who provided him with support and understanding, and simply because he was clearly not entitled to continue to be paid by the club after he voluntarily resigned. "Such malicious and public misrepresentation is clearly highly damaging to the highly respected and valuable name and reputation of St Helens and to the reputations of our first rate professional staff. We will review all possible actions open to us and seek due redress from all relevant parties." Hohaia, now 32, moved to the USA with his American-born wife and two children and will soon start work with a property development company in Grand Rapids, Michigan. He has been contacted for a response.